Pokemon's unsung hero finally gets his own title. You can probably guess what you do in it. Like many out there, I've been playing Pokemon for a long time. I remember popping that blue cartridge into my bulky old Game Boy and experiencing the pure bliss of creating my own team of awesome creatures. I also remember getting trolled by that old man in the Mt. Moon pokecenter who sold me an exciting new pokemon for just 500 pokebucks. One day that dorky little Magikarp would transform into the mighty Gyarados, behemoth of the seas, but until then he would do one thing and one thing alone. Splash. Now his time has come. Not in his proud flying water serpent form, but in his original, flopping spectacle. Japanese developer Select Button, creator of Survive! Mola Mola!, has announced a strange new mobile game called Splash! Magikarp. 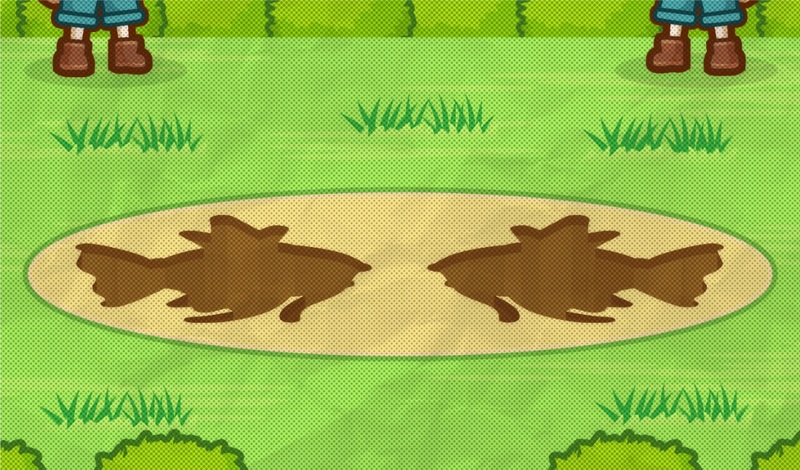 The title was revealed through a teaser website masquerading as a newspaper article, in which a fisherman talks about mysterious Magikarp shaped holes that are appearing around the village, noting that an investigation is underway. It's planned for release in Spring 2017 for Android and iOS, but whether or not we'll see it outside of Japan is anyone's guess. This is just the latest in a list of Pokemon related news this week, as Pokemon Go announced it was finally bringing long-awaited features as well as Gen 2 pokemon, and Sun/Moon finally revealed how to get your hands on Mega Stones.